Since early 2001, the San Pedro Police Force has been denouncing the lack of proper living conditions at their barracks. 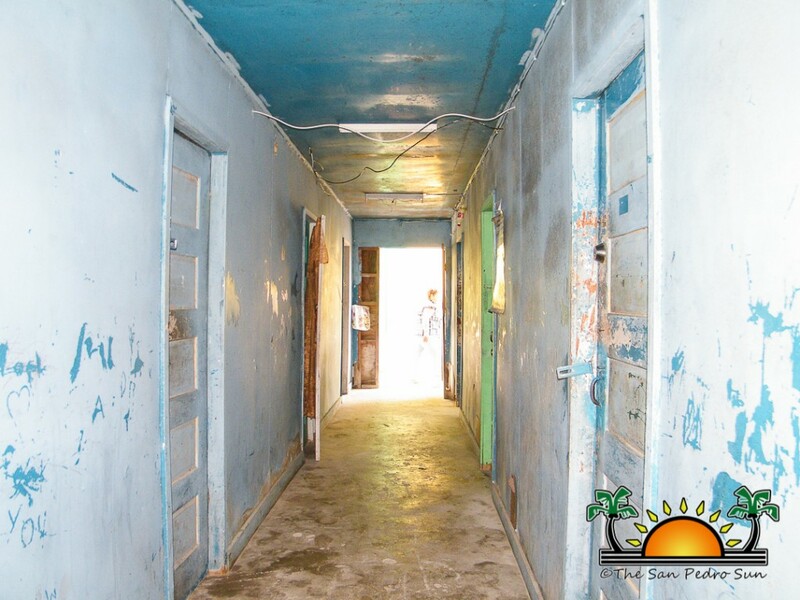 The lack of proper infrastructure, plumbing and wiring has led to officers having to live in less than ideal conditions. Although this is a widely discussed topic that has been brought to the attention of the Ministry by every Chief of Police since, no assistance has been given to improve the living conditions of the officers who serve our community. Now improvements are finally being made as Coastal Executive Officer in charge Luis Castellanos has taken action. 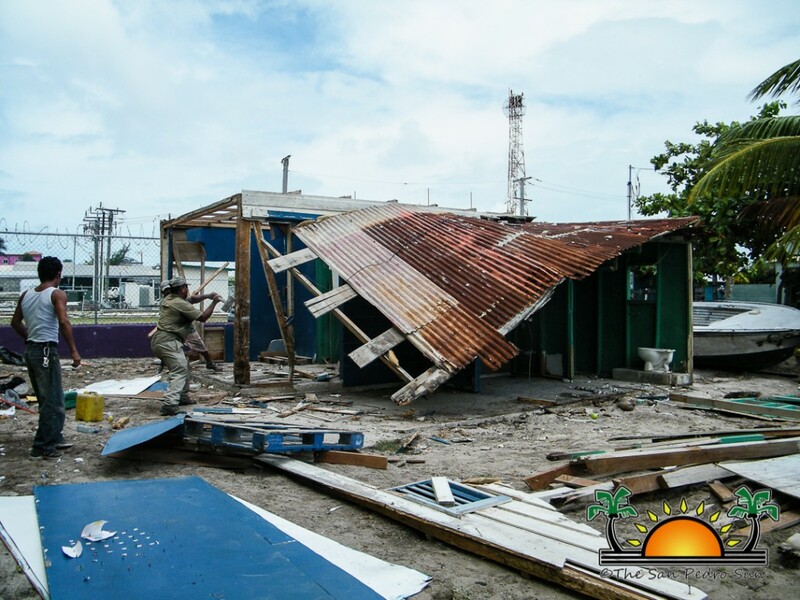 On Friday, May 31st, demolition of the dilapidated barracks located behind the police station commenced. Castellanos could not bear to have his officers living in the conditions the barracks offered, and as such had temporarily relocated the officers. 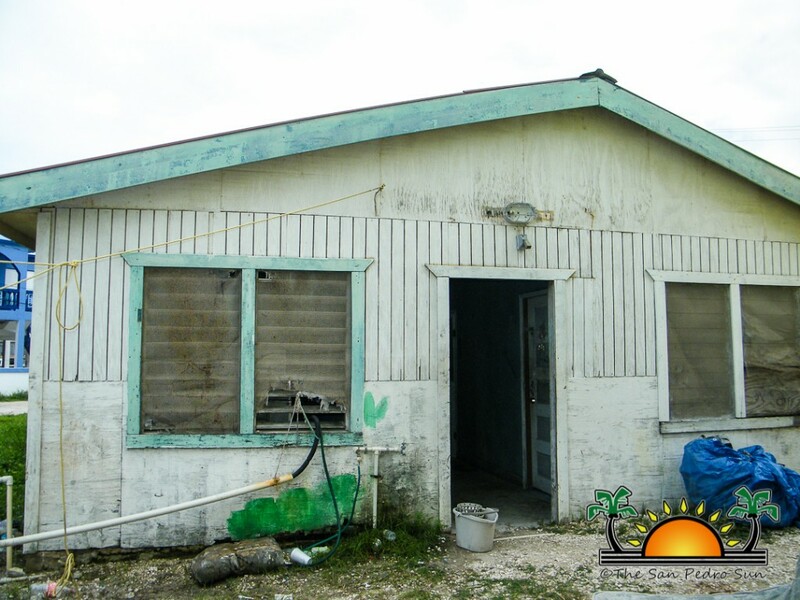 “Upon taking over command as the Coastal Executive Officer on the 14th January 2013, and upon checking the living quarters provided for the Police Officers stationed here in San Pedro Town and Caye Caulker Village, immediately my heart fell. However, I was motivated to alleviate, at all costs, the living conditions for these hard working officers,” stated Castellanos. 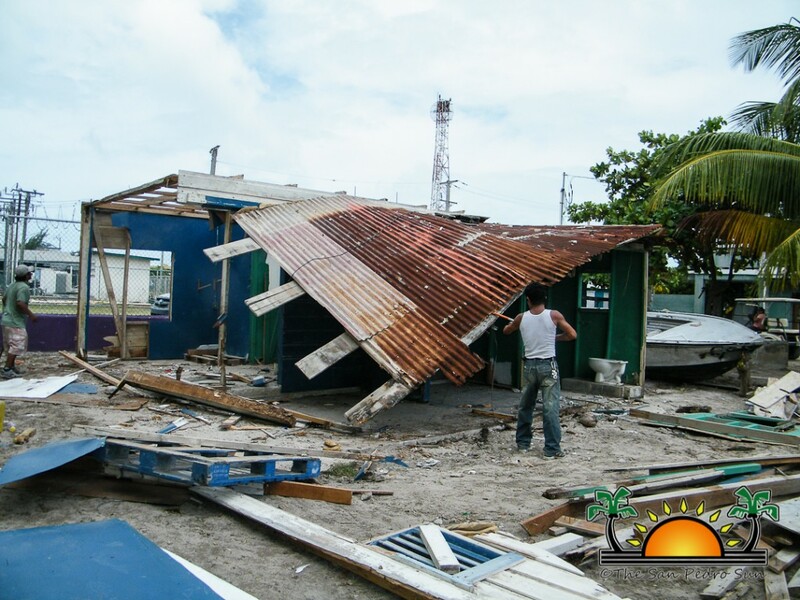 Given the need for proper housing, Castellanos proceeded to contact a couple of island businesses for support. 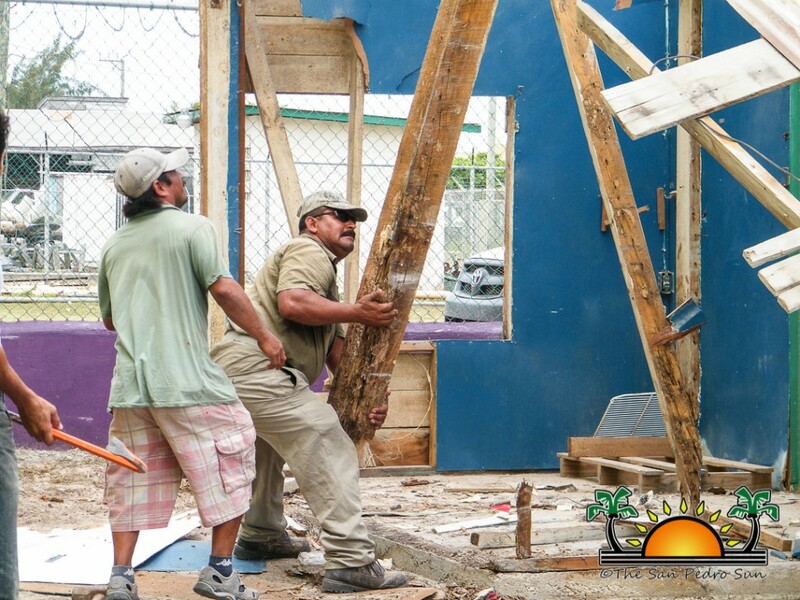 Gricel Graniel from Matachica Resort, Mukul Kanabar from Phoenix Resort, Brent Kirkman from Victoria’s House Resort and David Hess from Las Terrazas Resort pledged a total of $20,000BZ towards the construction of a temporary unit. The proposal is to construct a two story wooden building that will house eight officers. 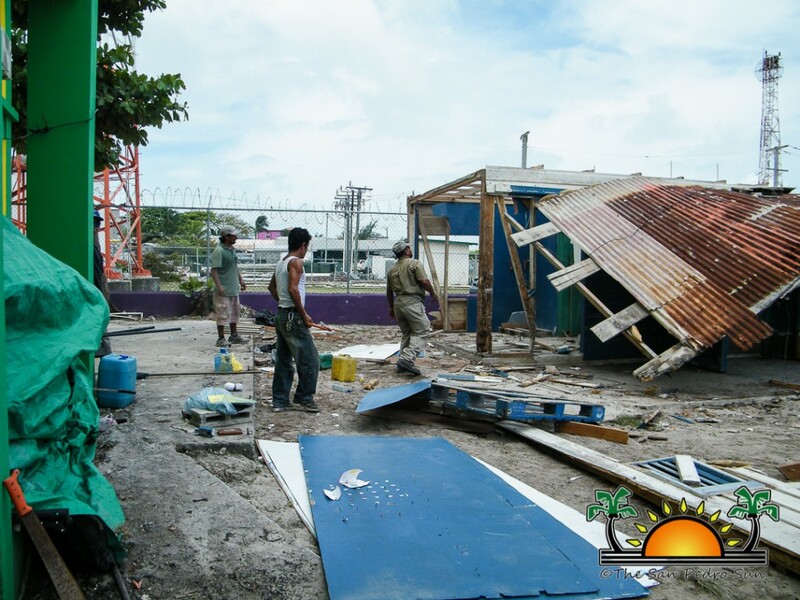 The construction of the building, behind the San Pedro Police Station, is being overseen by Councilor Gabriel “Gaby” Nuñez (contractor by profession). According to Castellanos and contractor Gaby the structure is estimated to take about six weeks to complete. “The realization of this project will greatly alleviate the pressure of housing eight newly transferred Police Officers to the San Pedro Police Station. I am both humbled and grateful for such generosity we have encountered so far,” said Castellanos. It is estimated that an additional $60,000BZ is necessary to complete the endeavor. 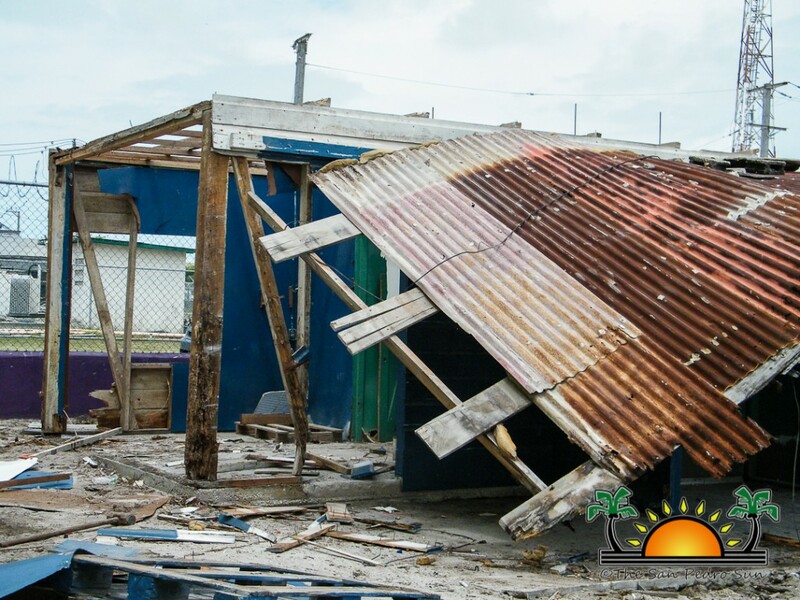 The San Pedro Police Force is seeking any donations from the San Pedro business community to help defray the cost of building the eight-room wooden structure. Those interested in making a donation are welcomed to visit the San Pedro Police Station during normal working hours. The new barracks will serve as a temporary alleviation to the problem. 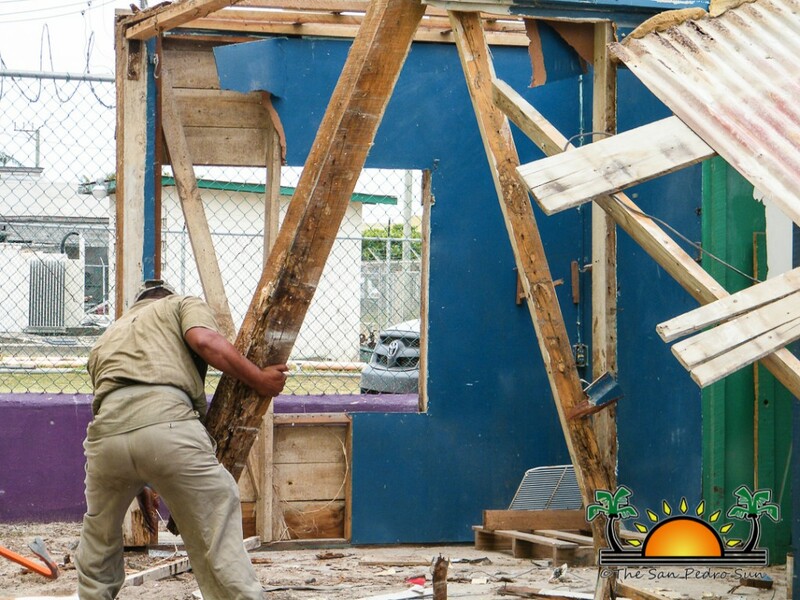 Castellanos hopes that with the support of the business community a permanent three story concrete building will be constructed in the near future to provide proper housing for all officers serving the island. The San Pedro Police Formation would like to thank the San Pedro Town Council, in particular council Gaby Nuñez and Foreman Freddy Gonzalez, and to the four resorts (Matachica Resort, Phoenix Resort, Victoria’s House Resort, and Las Terrazas Resort) for their continued support. Deplorable living conditions of our police officers call for community action.